This cozy mystery had a lot to offer. Several mysteries, lots of colorful characters, danger, and romance. 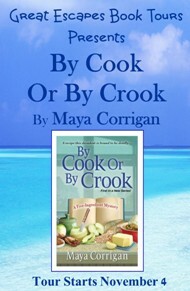 This first book in Maya Corrigan’s Five-Ingredient Mystery series is a mouth-watering delight for fans of culinary cozies. This is such a fun cozy mystery! I loved it. Val and her grandfather are really well-developed characters and made the story really enjoyable. Haunted by the car accident that ended her career as a cookbook publicist, Val Deniston has traded in the chaos of New York City for a quieter life near the Chesapeake Bay. Living with her curmudgeonly grandfather in the tourist town of Bayport is hardly glamorous, but she enjoys working at the Cool Down Café at the local fitness club, and she finally has time to work on her long-planned cookbook. 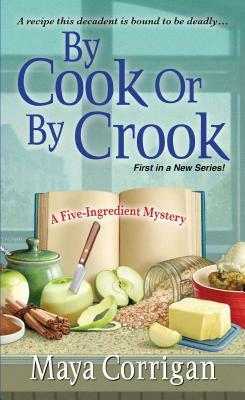 But when one of the club’s patrons is found dead, she’ll have to cook up a scheme to find the killer. Maya Corrigan lives near Washington, D.C., within easy driving distance of Maryland’s Eastern Shore, the setting for this series. 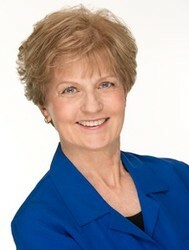 She has taught courses in writing, detective fiction, and American literature at Georgetown University and NOVA community college. A winner of the Daphne du Maurier Award for Excellence in Mystery and Suspense, she has published essays on drama and short stories under her full name of Mary Ann Corrigan. Visit her at mayacorrigan.com.